Listed below are current 2019 sponsors, vendors, and fan tables. Contact Us to get your company on this list. 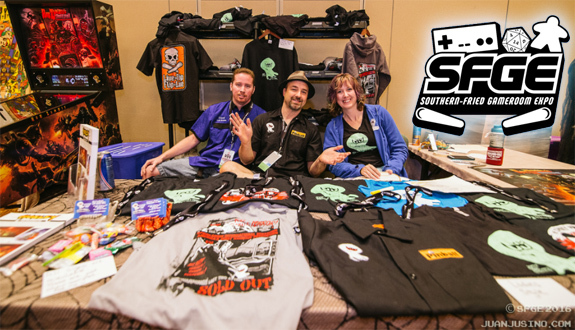 Pinball company Spooky Pinball, LLC’s vendor booth at SFGE 2016.